eTruism as a non-profit company provides an efficient way to aggregate excess inventory and convert them to charitable funds. By giving donated products another chance on our marketplace platform, we try to solve below problems. 1. Excess inventory Selling and storage cost exceeds the value of the excess inventory product itself. Even in well-run companies, around 20-30% of total inventory is excess inventory and it is estimated businesses have $1.1 trillion in losses due to excess and obsolete inventory. 2. Easy and burdenless way to give to charity. By donating with inventory, companies can receive tax deduction benefits and a valuable outlet for their inventory. Individual consumers get the products at a great price while giving to charitable causes. 3. Charities spend valuable resources on fundraising. 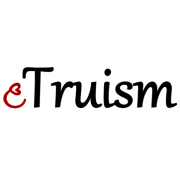 eTruism.org gives 100% of profits to charity partners selected by our customers. This allows charities to spend more of their resources on their impactful charitable work. Our founder, Charles Lee, has been the CEO of a fashion accessories company for over 15 years. In 2016, in an attempt to scale down the amount of warehouse space his company was using and fed-up with liquidators, he attempted to donate hundreds of boxes of his inventory to charity. To his surprise, the charities turned down the donation due the space it would take up, the lack of need for these non-essential items, and the cost to store or sell them. Recognizing the essence of the problem, he began to formulate a model where value from these donated inventory can be extracted and the proceeds could be given to charities in a form that could be utilized immediately - cash. eTruism was born. eTruism partners with renowned charity organizations and donor companies. Charity organizations: Direct Relief, Children’s Hunger Fund, spcaLA, Scholarship America and Conservation International. Donor companies: Cindy, Justin Taylor, Contempo, Edgemine, ActiveUSA, Cello Jean, Street Level and Timing.